Lady Midnight completely reconfirmed my love for the Shadowhunter world. It was one of my favorite books of 2016 so I am super excited to continue the story with Lord of Shadows. I need more Emma, more Julian, more Mark, more of the entire Blackthorn family! I don’t think that it the official synopsis as it is pretty short and doesn’t really give any information. 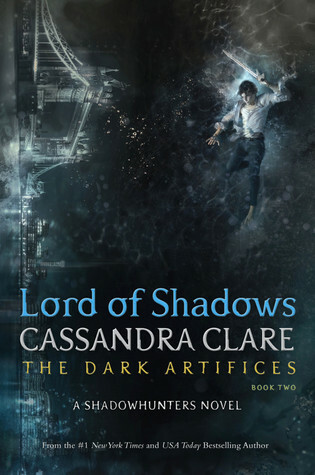 And OMG LINDSEY YOU INCLUDED LORD OF SHADOWS I CANT WAIT JUST THINKING ABOUT IT I GET SO EXCITED. Also, Cassie revealed in an interview that there was an extra scene that was cut since the book was becoming so long, and in that scene Emma and Julian talk on Blackfriars bridge about how the ending of TID was unfair to Will, and about their own lives too. It would be included in some special editions and let’s hope we get those ones? again I CANNOT wait. Eeeeeek? Like THE BEST PICK. I can’t wait to dive right back into the world of the Shadowhunters, I love everything about it.. (the books, NOT the TV show) I NEED this book. Liz @ Freyja Eats Books recently posted…Waiting On Wednesday. 14.12.16. Oh my gosh – YES! I can’t wait for this! I love the Shadowhunter world! 🙂 Great pic!